The ideal candidates for The Lockwood Olympic Triathlon Method are beginner and intermediate racers that are looking to get faster and complete longer distances. This comprehensive program is specifically designed to get them over the top while tailoring to those who may only have one-two hours to spare M-F to training. The 12-week program incorporates 3 weeks of Base, 4 weeks of Build, 4 weeks of Peak volume and 1 week of tapering. The program includes integrated recovery approaches to rest and harvest gains as well as strength training to build leg and core muscle necessary for completing longer distances. Over/Under Intervals are a lactate threshold workout that features surges or accelerations to mimic the real-world demands of taking pulls in a paceline or breakaway. Run after bike. 3-4 miles. z2-3 aerobic effort but try to negative split. Corkscrew or New Abdominal Exercise from magazine, trainer, etc. 5-10 minute jog/dynamic warm up combination. 12 Minute work interval. No more no less. The objective of this workout is to run as close as possible to 2 miles in a 12 minute interval. Target a comfortably hard and then scale up and down to try to meet the objective in the 12 minutes. Stop at 12 minutes and see how far you got. Then walk for 4 minutes and get down to full recovery. Repeat for 1 more work interval, then finished. Document in completed activity how far you got in each 12 minute work interval. Tractor Pulls @ 130% of FTP for 1:30 then recover for 2 minutes in between. 6 work intervals. 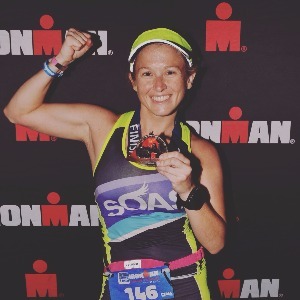 I have a diverse and broad range of experience in the endurance sports lifestyle with both short and long course experience in triathlons and duathlons including several 70.3 and Ironman finishes. I am an experienced runner with finishes in just about every road race under my belt from 5k to marathon.